*UPDATE* Books and Shelving Delivered in Ethiopia! In late February our Program Director delivered books and shelving to the Haile Babamo Junior School in Ethiopia. Tilahun was able to use his budget to supply the school with SIX shelves instead of the three that were planned for. How did he do it? Local knowledge and collaboration! What Tilahun did was buy the parts for the shelves from a local wholesaler and ordered them to be cut into standard sized pieces. 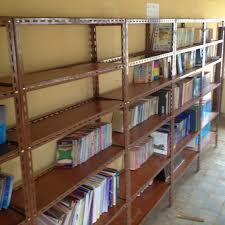 He then picked up the shelves personally and brought them to the school for the teachers to build themselves. He reported that the teachers were highly motivated to use their wisdom to accomplish this for their school. We hope you enjoy the updates of our program work as we love sharing them with you. We take enormous pride in our model of smart and strategic work, based on community-driven ideas with the needs of the children and communities at the forefront. Please email us at info@rootsethiopia.org if you would like to hear more about leading a project like this in Southern Ethiopia. Previous Previous post: When is Ethiopian Easter, or Fasika?